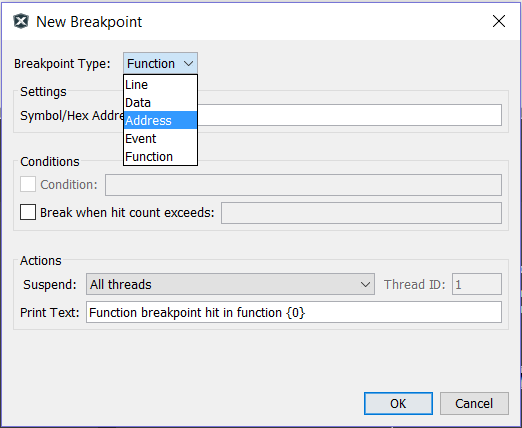 In the Breakpoint Type drop-down box, choose Address. Enter a valid memory address in the Address box. Next, choose the 'Breaks on' condition. In most cases, you will want to use the default, Program Memory Execution. The other options are for triggering on table reads and table writes which make use of specific PIC® microcontroller or dsPIC® digital signal controller instructions. These settings are only useful if you explicitly use these table read/write instructions through inline assembly or assembly language files. 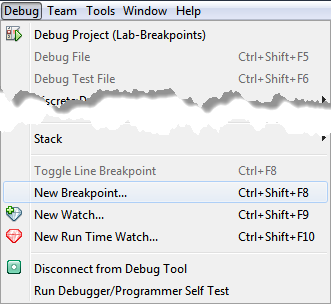 The default Pass Count is Always Break where the program will halt each time the breakpoint's conditions are met. 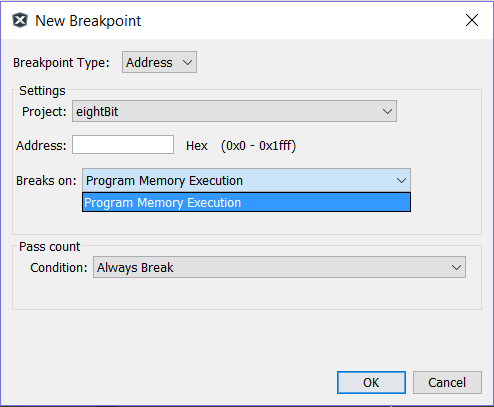 Break occurs Count instructions after Event will halt the program by a specified number of instructions/instruction cycles after the breakpoint's conditions are met. 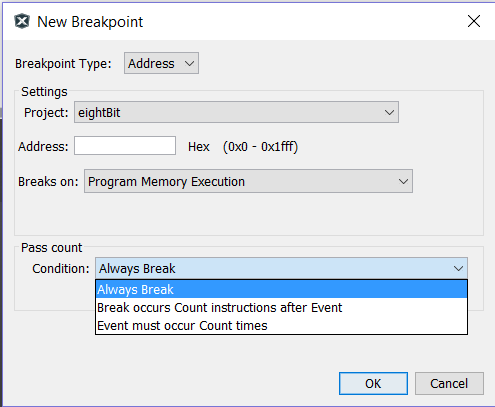 Event must occur Count times will halt the program after the breakpoint's conditions have been met a specified number of times.